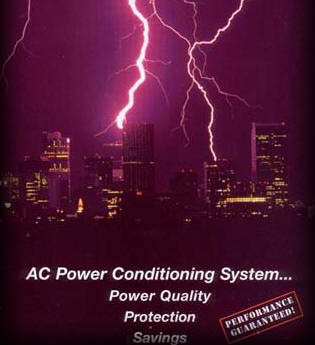 What's the best protection between your electrical system and this storm? Tests at the Northrop Grumman Corporation demonstrated that the Unit improves power quality and circuit efficiency by balancing the amps and volts in 3-phase systems. 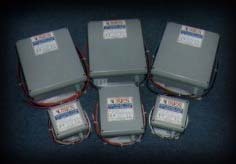 By connecting the phases magnetically with wrap-around magnetic choke, corrected power factor (PF), reduced harmonics, absorbed surges and sags, attenuated transients, improved the motor efficiency and released system capacity.